Carnation Auto Blog: Luxury Cars That Cost More Than Your Whole Body!! 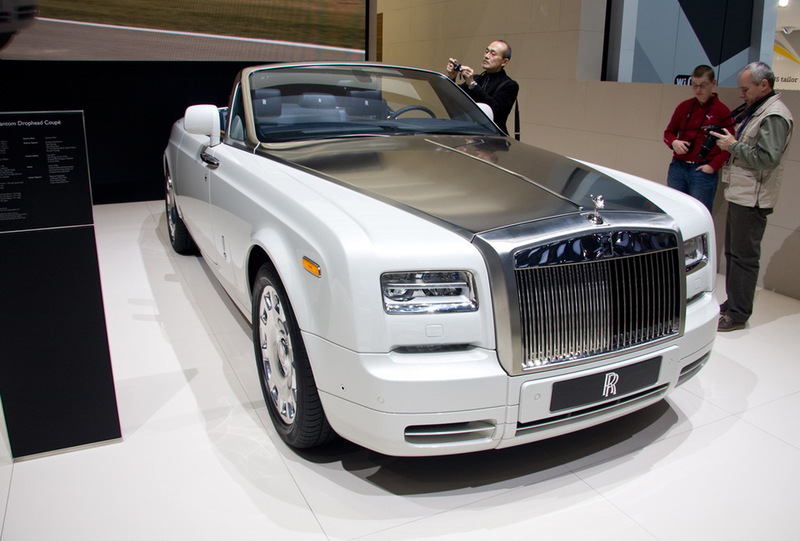 Luxury Cars That Cost More Than Your Whole Body!! I am back! Stronger, healthier, and ready to pen down the next post! :-) In my last post I mentioned the top 4 most expensive super cars in 2012, which were also showcased at the recently concluded Geneva Auto Show. I cannot, not talk about Mercedes Benz, when I mention super fast, luxury cars. 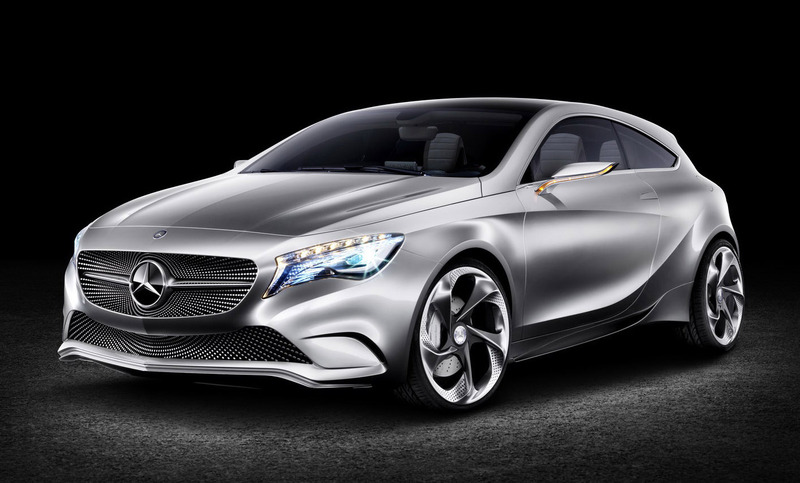 This German premier car maker showcased the really good looking A Class at the Geneva Auto Show. The Merc Benz A Class is a premium segment sedan that can be customized as per your needs (mine too!). Not only does it come in two different engine configurations – 1.6 liter and 2.0 liter, but one also has the option to choose a 6-speed manual or a 7-speed dual clutch gearbox. As with most Mercedes, the A Class has classy looks, chrome grills, and ability to really speed up! Also known as the Bentley Mulsanne Mulliner Driving Specification model, this freshly re-packaged Bentley Mulsanne is the epitome of decadence and greed…for own one of the most exclusive cars in the world. A fine example of bespoke elegance and super-cool features like 21 inch wheels, diamond quilted, leather interior, and Flying B vents, the new Mulsanne Mulliner has a V8 6.75 liter twin turbo engine that offers a thrust of 505bhp power!! Phew! 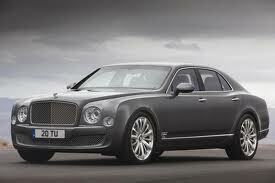 The Bentley Mulsanne Mulliner is capable of achieving a max speed of 184 mph. Fitted with a technologically advanced Drive Dynamics Control system that provides flexibility to automatically adjust the suspension and steering systems, you’ll never feel challenged when driving this car. 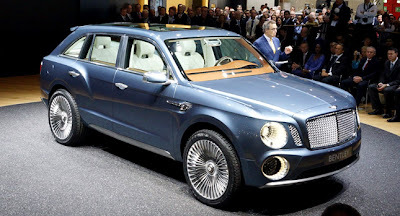 The only SUV in my list of most expensive cars this year, so far, the Bentley EXP 9F is also the maiden SUV designed by Bentley Motors. Based on the famous Bentley Grand Tourer model, this SUV costs a bomb, quite literally! :-) Powered by a W12, 6.0 liter twin turbo engine to produce 600 bhp of power, the EXP 9F (is this a name in Spy language?!) has an 8-speed transmission. Very soon, this SUV will also be available with a hybrid V8 4.0 liter twin-turbo engine. Though currently at a concept stage, the Bentley SUV boasts of 23-inch alloy wheels and an all-terrain drive system. It will also have a superlative entertainment & multi-media system. I just hope the car lock can’t be jimmied with or …!